On June 12, 2012, a 17-members’ Pax Earth team led by Pax Earth Nepal (PEN) President Sujan Koirala visited Shree Kalika Primary School and Shree Raktakali Primary School of Kavrepalanchok and distributed educational and sports materials to the poor and deprived students amid two separate distribution programs organised in these two schools. 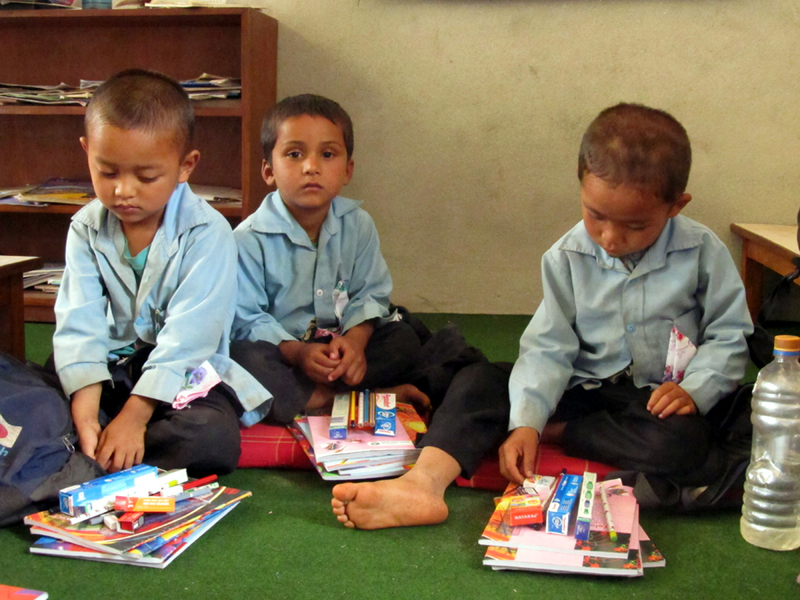 Since June 2010, Pax Earth has been providing educational system support in these two schools. With this support, more than 120 poor and deprived students of these two schools have benefited. As per the planning, Pax Earth members gathered at PEN Secretariat, Pashupati, Kathmandu and having a cup of tea headed for the educational mission sites in Kavrepalanchok at 7:45am in a rented micro-van. 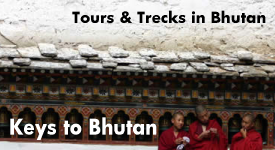 At 8:30am, the Pax Earth team arrived at Dhulikhel where they could take lunch. The team arrived at Shree Kalika Primary School, Kanpur at 12:15pm. Upon arrival, Principal Ram Lal Shrestha, teachers and students warmly welcomed the team members with garland and khadda. The school had arranged a small distribution ceremony. The ceremony was chaired by Principal Ram Lal Shrestha and PEN President Sujan Koirala was honoured as the Chief Guest. Teacher Pramisha Pariyar, in her welcome speech, cordially welcomed Pax Earth President, board and general members, SMC members, PTA members, parents, students and other stakeholders. On behalf of Pax Earth, PEN Secretary Binod P. Mainali briefly introduced Pax Earth. After his speech, President Sujan Koirala formally started the distribution ceremony handing over stationery and hygienic materials to a student. Then, Pax Earth team in coordination with the teachers distributed stationery and hygienic to all students present on the occasion one by one. Each student received stationery such as few notebooks, pencils, a sharpener, an eraser, a scale and a crayon and hygienic materials such as a toothpaste, a toothbrush and a handkerchief. These stationeries are adequate for the students for next four months. 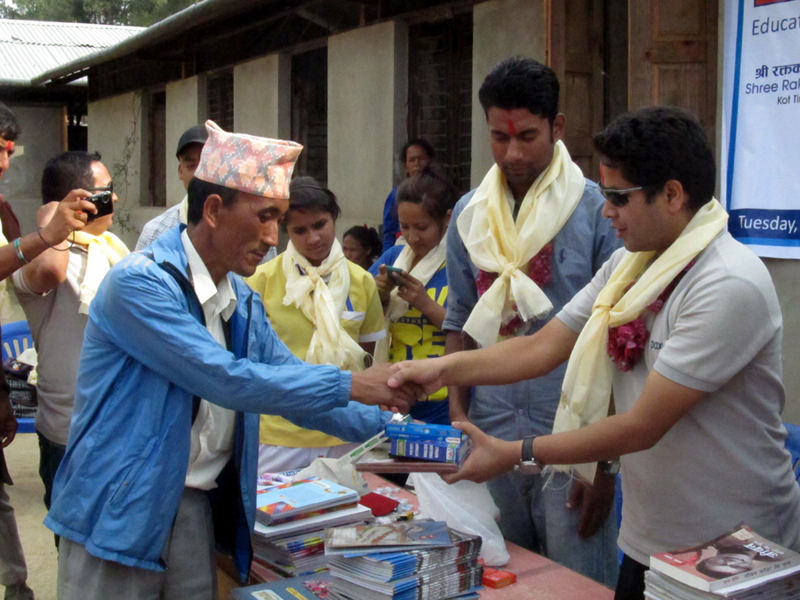 Similarly, the team distributed a (English to Nepali) dictionary, a diary, a pen, a handkerchief, a toothpaste and a toothbrush and few worth-reading novels to the teachers of the school. Few sports materials such as: footballs, volleyballs, skipping, rings, tennis balls and ludo (snakes and ladders) were also distributed on the occasion. Chief Guest and PEN President Sujan Koirala in his special speech stated the mission of Pax Earth and explained why the organisation has chosen the school for the educational mission. He was delighted with the proper utilization of the materials distributed in previous occasions. He thanked school authority and other stakeholders for their kind cooperation in implementing Pax Earth’s mission and expected a similar cooperation in the days ahead. Chairman of the distribution program Principal Ram Lal Shrestha extended vote of thanks at the end. He highly praised Pax Earth’s mission in supporting the poor and deprived students of the school and wished for the long-term sustainability of this mission. He stressed for the support and cooperation from all stakeholders in successfully implementing the mission. More than 25 students and 3 teachers of this school benefitted from this distribution. After the program at Shree Kalika Primary School, the team headed for Shree Raktakali Primary School, Kot Timal. The Pax Earth team arrived at Shree Raktakali Primary School, Kot Timal at 2:45pm. 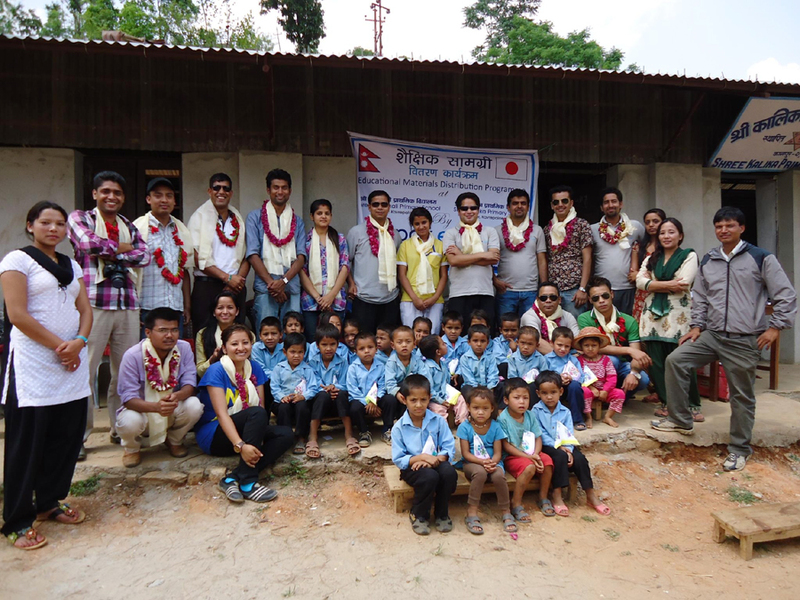 Upon arrival at the entrance gate, Principal Hira Kaji Tamang, teachers and students cordially welcomed the Pax members with red tika and khadda. The school had also arranged a formal ceremony for the distribution. The program was chaired by Principal Hira Kaji Tamang and PEN President Sujan Koirala was honoured as the Chief Guest. Teacher Netra Prasad Pathak, in his welcome speech, cordially welcomed PEN President and other dignitaries, members of school management committee, parents, teachers and students and expected cooperation from all present on the occasion for carrying out the distribution successfully. 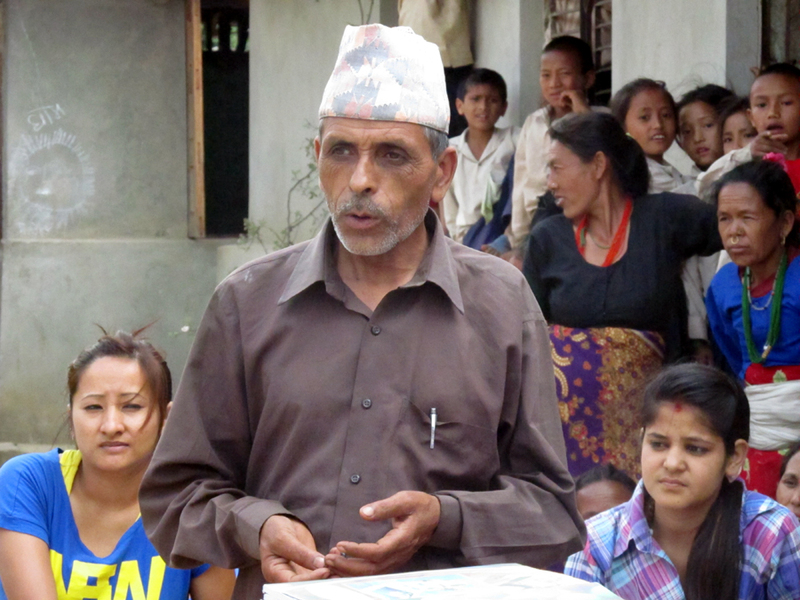 Journalist Nawaraj Mainali, speaking at the occasion, praised the generosity of Pax Earth for contributing in the education of the poor and deprived students of this village. After his speech, the Pax team in coordination with the teachers involved in the distribution. Like in Shree Kalika Primary School, the students also received few notebooks, pencils, ball pens, a sharpener, an eraser, a scale and a crayon and hygienic materials such as a toothpaste, a toothbrush and a handkerchief. These stationeries are adequate for the students for next four months. 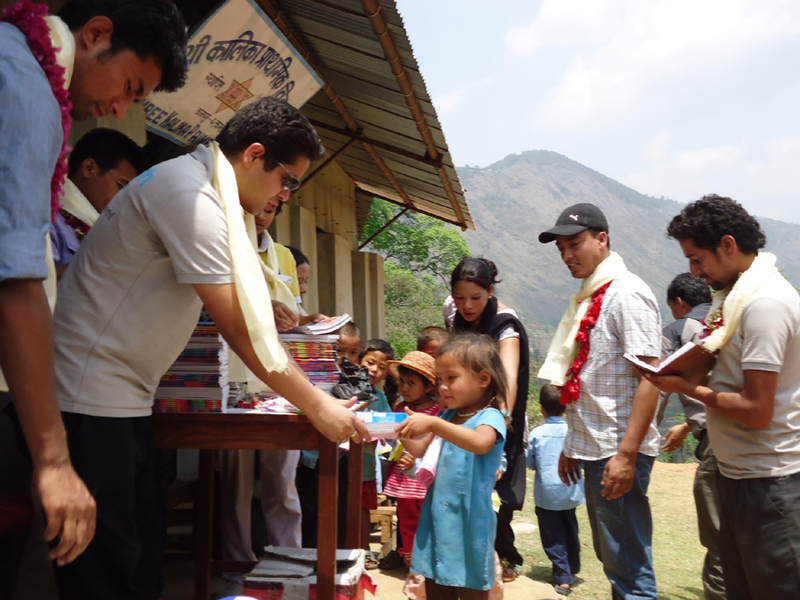 Similarly, the team distributed a (English to Nepali) dictionary, a diary, a pen, a handkerchief, a toothpaste and a toothbrush and few worth-reading novels to the teachers of the school. Few sports materials such as: footballs, volleyballs, skipping, rings, tennis balls and ludo (snakes and ladders) were also distributed on the occasion. 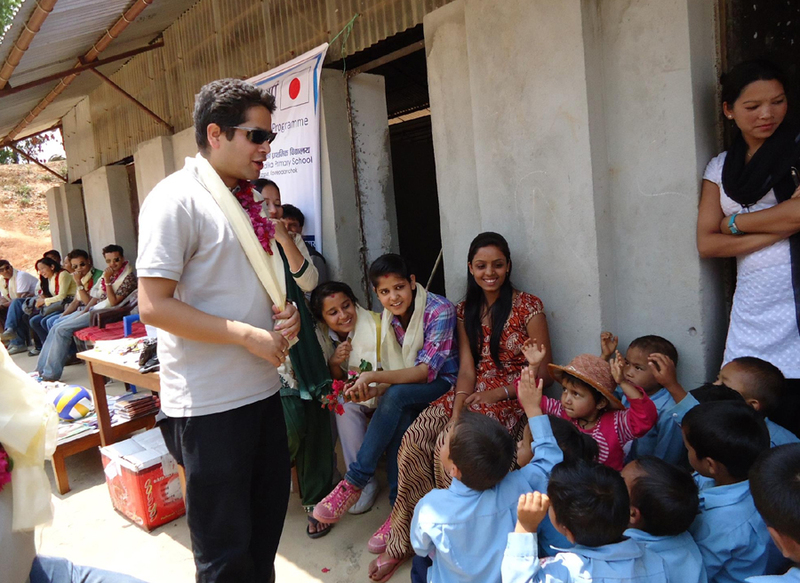 Chief Guest PEN President Sujan Koirala expressed his happiness to be in front of the lovely kids once again. He was very happy to carry out the educational mission to these poor and deprived children. He thanked school authority for their praiseworthy cooperation in implementing Pax Earth’s noble mission. He promised to continue the program as far as possible but expected cooperation from all the stakeholders. During the speech, he could interact with the students too. Chairman of the distribution program, Principal Hira Kaji Tamang extended vote of thanks to Pax Earth for coming a long way to this remote village and contributing in education of these underprivileged children for past two years. He expressed his gratitude to all present on the occasion. He requested Pax Earth for the continuity of the support in future too. After his speech, he formally adjourned the distribution program. After the distribution, PEN team managed to take some group photos with the students, teachers and community people. More than 85 students and 6 teachers of this school benefitted from this distribution. Pax members were offered teas and snacks at the end of the program. After receiving farewell from teachers and the students, the team left for Dhulikhel where the team had planned to have dinner. On the way, the team could manage to have a cup of tea and snacks at the home of PEN Secretary Binod P. Mainali. The team had dinner at Dhulikhel at 8:30pm. Due to the problem in the micro-van, the journey that began at 7:30am ended at 12 midnight. Above all, the Pax Earth team successfully carried out the mission. The program would not have been successful without the support of few individuals. Pax Earth is very much grateful to Pax Earth Japan Advisor respected Mr. Masaya Arao for sending more than 200 toothbrushes for the students of these two schools. Pax Earth is also thankful to Hilary Scouts Troop for collecting stationery (notebooks, pencils, erasers, sharpeners, scales, etc.) for the students. 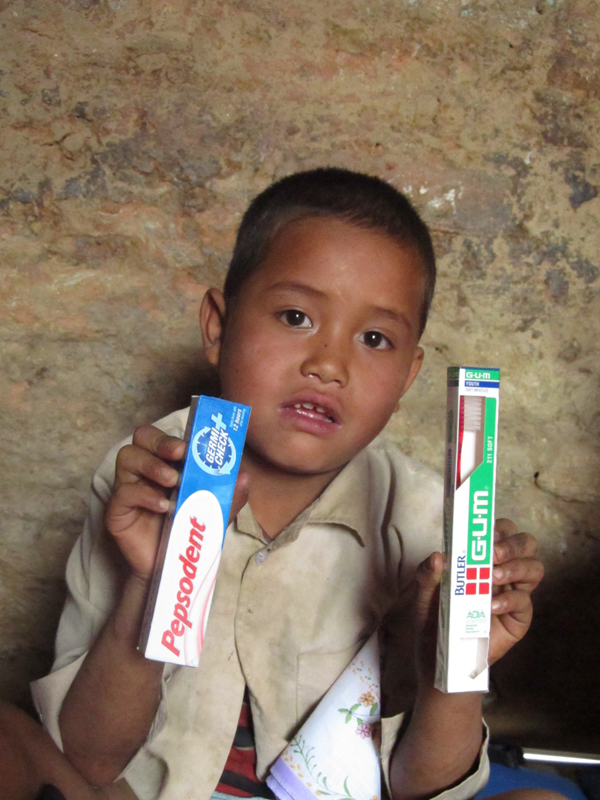 Pax Earth is equally thankful to Pragya Tamang and Reetu Adhikari for sponsoring few dozens of notebooks and ball-pens. Pax Earth would like to sincerely thank the authorities at both the schools for their kind cooperation in smoothly carrying out the distribution. Driving team also deserve a special thank for dropping the members at their respective destination at the midnight. Last but not the least, Pax Earth would like to pay sincere gratitude to all 17 participants (President Sujan Koirala, Vice President Shreebatsa Basnyat, Secretary Binod P. Mainali, Treasurer Bal Gopal Shrestha, Joint Secretary Guna Raj Pyakurel, Board Member Laxman B. Pahari, Honorary Member Kapil Koirala, Members: Sudan P. Bhandari, Debraj Ghimire and Kamala Basnet from PEN; Well-wishers: Kapil Deuja, Pragya Tamang, Nawaraj Mainali, Badri Sigdel and Sumit Shrestha and representatives from Hilary Scouts Troop Roma Bhatta and Mili Ghimire) for their active and valuable support in making this program a success and also for their patience till 12 midnight. From the tag of “Americans” by the students of Shree Kalika Primary School, to spot a “leopard” on the way back from Bhakunde to Dhulikhel and “the severe puncture” of a tyre of the micro-van at 11.40pm at Emadole along with the main distribution ceremony, the Pax team thoroughly enjoyed every moment of the day. WHAT AN ADVENTUROUS DAY PAX EARTH HAD! Previous postPEN First Members' Meet 2012 Next postPEN Toastmasters Vol. 3, No. 5: "GADGETS!"